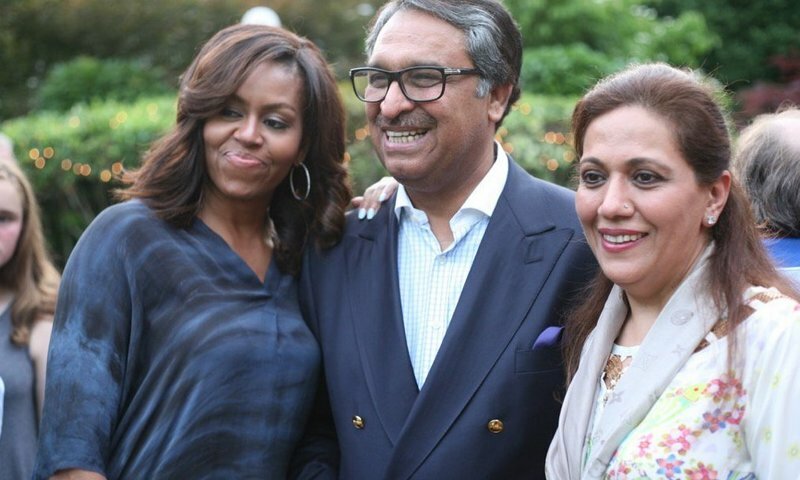 WASHINGTON DC: In a first, United States First Lady Michelle Obama visited the Pakistan Embassy in Washington on Friday and Pakistan’s Ambassador to US Jalil Abbas Jilani shared pictures of the visit on Twitter. 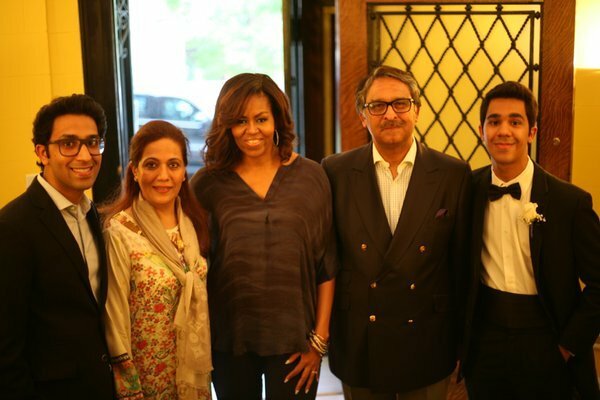 “It was an absolute delight hosting FLOTUS at Pakistan House today,” Ambassador Jilani wrote in a Twitter post. Although the reason behind Michelle Obama’s visit isn’t clear, the US First Lady had last year announced a $70 million contribution to educate adolescent girls in Pakistan as part of her “Let Girls Learn” initiative. The First Lady’s visit to the Pakistan Embassy came at a time when relations between Pakistan and the US are strained on account of the drone strike in which Afghan Taliban chief Mullah Akhtar Mansour was reported killed. Pakistan had lodged a strong protest with the US over the drone attack. Prime Minister Nawaz Sharif had called the strike a violation of Pakistan’s sovereignty. Chief of Army Staff (COAS) General Raheel Sharif had also conveyed his concerns to the US envoy in Islamabad that the incident had soured Pak-US ties. The drone strike followed decisions by US lawmakers to block $450 million in aid to Islamabad unless it does more to fight the militant Haqqani group, and refusal to subsidise the sale of eight F-16 fighter jets to Pakistan, both of which strained ties between the two countries. With the changing dynamics of US military engagement in Afghanistan, changes in the Pak-US relationship seems plausible. From initiatives such as the Kerry-Lugar civilian-focused aid and attempts to fasten regional trade, now there is little more than bargaining over bills and military hardware. Despite recent developments, the US state department has said that ties between Washington and Pakistan are vital and that the US has no intention of them taking on a negative trajectory.